Bar menu: Monday - Thursday evenings. 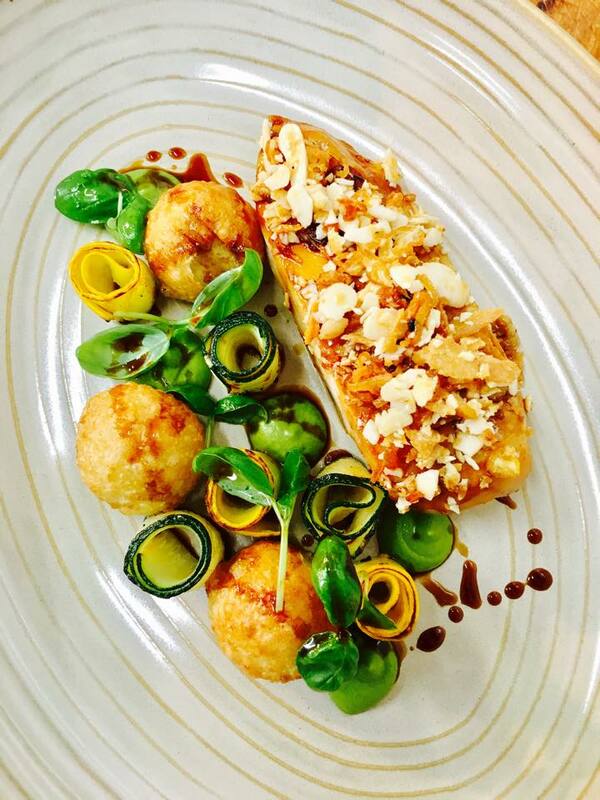 The Lion & Pheasant's food is simply delicious, full of flavour and from the heart. 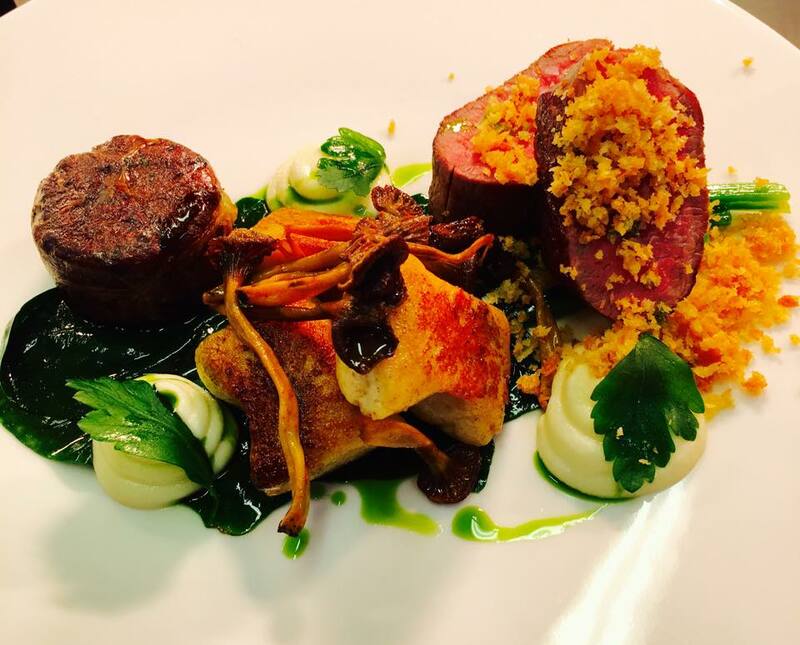 Paul Downes, and his brigade, cook with innovation using the finest produce from Shropshire and beyond. 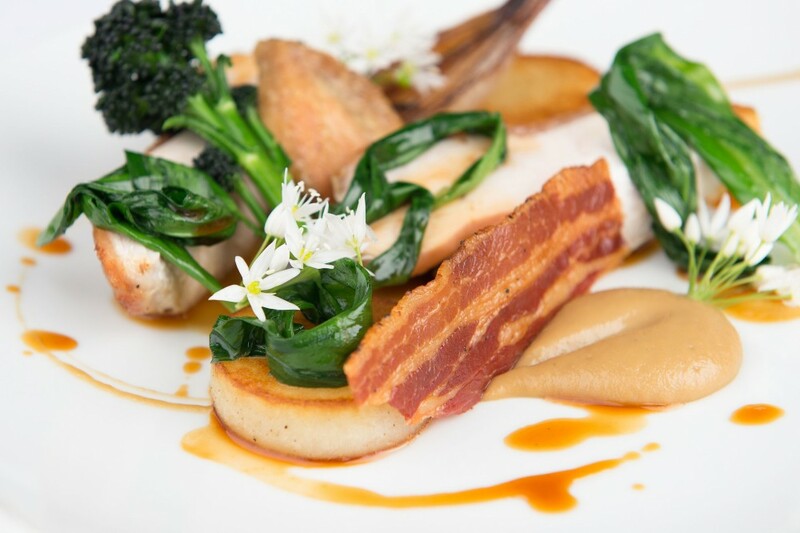 The restaurant's à la carte menu offers the opportunity to enjoy beautiful seasonal flavours using the many skills of the team. 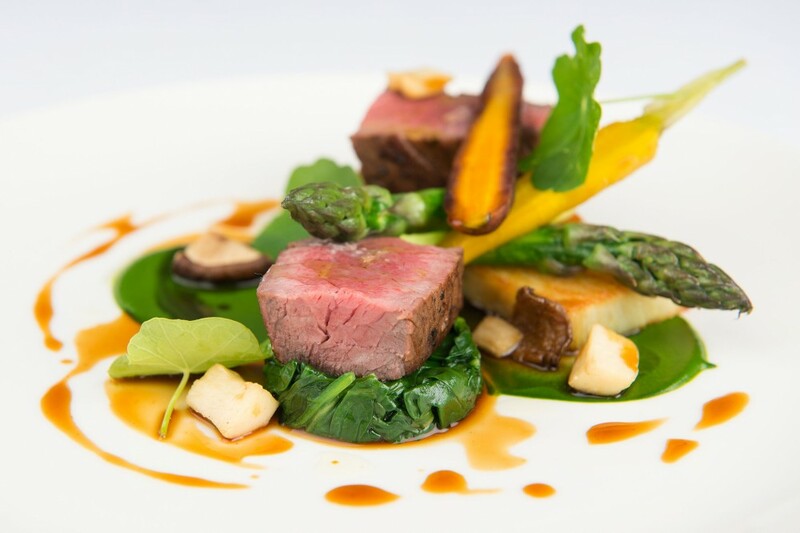 The à la carte menu is complimented with a comprehensive wine list, showcasing wines from all over the world. 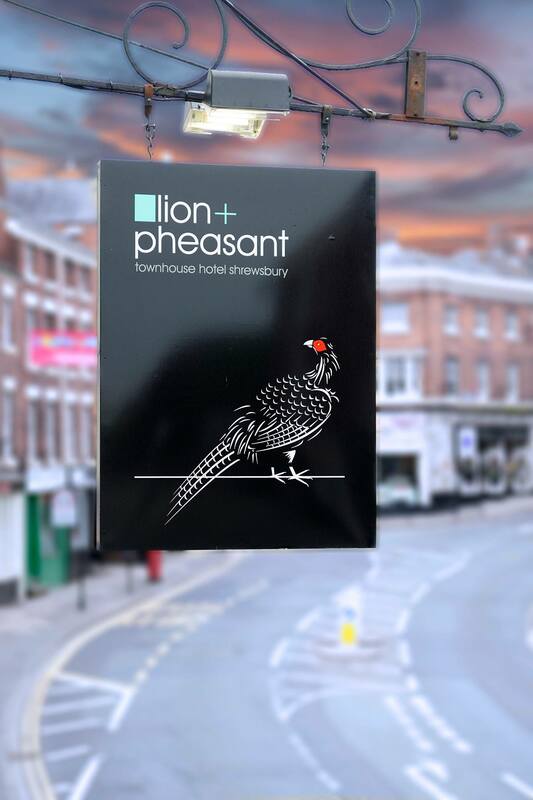 This, with the friendly service are the ingredients of many memorable dining experiences at the Lion & Pheasant restaurant. Afternoon Tea is available Monday to Saturday afternoon from 1pm - 4.30pm and served in the bar area and inglenook. Contact the hotel for more details or to book. Advance booking essential. Deposit required. Great stay as usual. Room was lovely. Food and drink were great. Parking can be a little tricky in the car park, but if you arrive early, there will be space. Excellent quality, presentation and service. 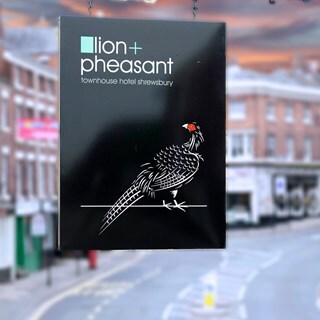 I now rate the Lion and Pheasant restaurant as in the top three in the whole of Shrewsbury and surrounding area. Booked table as special occasion family meal. Restaurant was totally empty but we were seated at Table No. 32 which was tantamount to being in the corridor. At least one private (hen ?) party was taking place elsewhere in the building, and the route from their dining room to the bar was right past our table. Constant stream of high-heels on wooden floor was very disruptive. Food was generally good with the exception of one barely lukewarm steak. Service felt very perfunctory - lacking genuine engagement, merely a box-ticking exercise. Multiple service staff also detracted from the overall experience. These issues were not raised at the time as we did not wish to further negatively impact on our family meal. Overall, a very disappointing experience, especially as it was a special commemorative family meal and we had a round-trip journey of over 3 hours to get to the venue. We would have liked the music in the crystal room louder and more upbeat. The food was just amazing and the staff lovely. We came as a treat for afternoon tea on Saturday. I can only say what a huge disappointment really. Food was great for my dad as a coeliac and the kids were happy but it was average - sandwiches with so little butter the minimal grated cheese fell out when they were picked up, stale mini Victoria sponges, egg egg egg - and stingy on the filling in them. But it was the Service I am most disappointed. It took probably an hour to actually get a drink - and only because we asked for the menu, asked to order etc! I had to clear our own table as we were sat with the debris so long. The drinks when they eventually arrived were some of the poorest cocktails - a margarita in a champagne bowl glass and without salt. When I asked for salt I was returned a glass with huge lumps of salt pretty much tumbling down the outer sides of the glass. Really really disappointed. We were intending to stay for he afternoon, relax, have a few drinks etc. Instead we ate average food, pretty much did our own service and drank mediocre drinks. Yes you were busy. But instead of standing at the side of the bar wallowing about it, be proactive and actually interact with the customers. Or if that’s too much, at least deliver the products! Average starters, very good main, but poor, inelegant desserts. Far worse than the last time we ate at the restaurant when there was clearly greater skill within the kitchen. Wine selection very good, though excessive mark-up. Excellent service, pleasant decor. After wasting over £800 on New Years Eve 2016 and embarrassing our friends on one of the worst meals we have ever experienced, it has taken a long time for us to reconcile ourselves with the L&P. This recent visit was excellent and I'm sure we will get back to visiting regularly again. Really enjoyed our  first visit we will definitely be back ! We came to your restaurant on a recommendation from a friend and we were not disappointed. We had a lovely evening and the food was delicious! As always the staff are friendly and attentive. Food is heavenly and perfectly cooked. Atmosphere is relaxed. I’d say this is the best restaurant in Shrewsbury. Seated in an overspill zone, this was not communicated on booking, sat with back to open door with constant traffic behind me, plastic event seating with dated party type bunting draped around, awful positioning, no atmosphere, fine dine it wasnt other than cost. Food was excellent but we did think that the greeting on arrival lacked professionalism. We were served a drink at the bar and then ushered upstairs with our coats, drinks and bag and needing to hold the bannister due to the steep stairs would have appreciated the offer of our drinks  being taken from us and delivered to our table. Otherwise service was good . Table was ready for our arrival. Food was lovely. Setting beautiful. We had to ask for the Prosecco, but no problem at all. I had changed the date and the Lion and Pheasant couldn’t have been more accompdating. I have a feeling the details of the booking were not transferred to the new date. There was no problems though and had a lovely time. The food was fantastic - the duck breast was the best I have ever had. Great service, lovely room with a roaring fire, fantastic dessert & even petits fours with the coffee. Beautiful warm homemade bread to start as well - gorgeous. Well worth the money. Everything was great, meeting room great value and a great setting, lunch wonderful. As I said to the lady when we paid, I think you should review the price of your tea and coffee for corporate guests as it feels a little high. That didn’t detract from a great experience though.